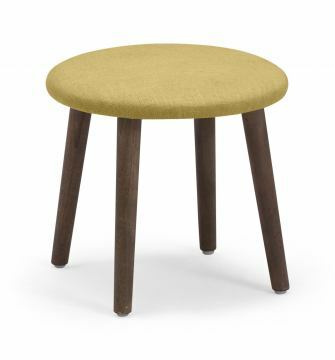 For folks who don't want any of that cushion nonsense, but still want some color, the Edgewater Stool is the solution. Slim wood legs support a slim fabric wrapped surface. Comes in orange, mustard or aqua.